Father Sentenced to Jail for Exceeding Child Support and Visitation? My Insights! One parent attacking the other where the child suffers is unacceptable. But what makes this more ludicrous is that the court system went against the primary purpose of establishing child support agreements–to protect the child. The judge is supposed to consider the best interest of the child. When I was going through my divorce proceedings, New Jersey requires you to attend a mandatory counseling course if there are children involved.The course re-iterated that the judge’s number one priority is the child’s welfare. This judge did not consider this when sentencing the father to six months in jail. There are many child custody issues out there where the non-custodial parent is not meeting their mandatory visitation schedule and/or coming short on their financial obligation. 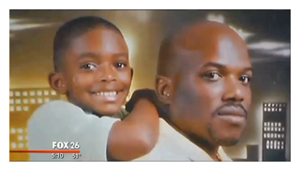 Because a father is going above and beyond, jail time is justified? This is despite whether the child support agreement was amended or not. Is the judge going to credit his prior year child support over payments to the time he was not able to work while incarcerated? Will the father get to double-up his visitation once his sentence ends to replace the time missed while locked up? I think not. What mother would take their child’s father’s to court because of his efforts in being a good father to his son? Why would a woman be so bitter over an ex-husband to make his life miserable at the expense of the child? When talking with many fathers where the relationship with the mother did not end on a positive note, they complain how many women have used their children to get back at whatever wrong was done in the relationship. They cite women withholding the opportunity of them spending quality time with their child. Seeking monetary gains in lieu of nourishing the child with fatherly love. This is unacceptable in my opinion. Whatever the reason the mother thought it was necessary to take the father for court by being the “model” dad, is not justifiable. Squash your differences for the sake of your children. If there are two willing participating parents in your child’s life, let him thrive from both parents love. Do not deprive the child because of your differences. The judicial system is flawed. The judge should be revoked from her duties. The outcome of this case should be reconsidered. What Are Your Thoughts? Should a Man Do Time For Over-Extending His Parenting Duties? For complete article, click on the following link. What you published was very reasonable. However, think about this, suppose you were to create a killer headline? I ain’t saying your information isn’t solid., but what if you added a post title that makes people desire more? I mean %BLOG_TITLE% is a little vanilla. You should look at Yahoo’s front page and see how they write post titles to get viewers to click. You might add a video or a picture or two to get people interested about everything’ve got to say. Just my opinion, it might make your blog a little livelier. Thank you for any other magnificent post. The place else could anyone get that type of information in such a perfect method of writing? I have a presentation next week, and I’m at the search for such information. Hmm it seems like your blog ate my first comment (it was extremely long) so I guess I’ll just sum it up what I wrote and say, I’m thoroughly enjoying your blog. I too am an aspiring blog writer but I’m still new to the whole thing. Do you have any tips and hints for newbie blog writers? I’d definitely appreciate it. Go to WordPress.com platform. That is what I use and is encouraged for all newbies. Attractive portion of content. I simply stumbled upon your site and in accession capital to claim that I get in fact loved account your weblog posts. Anyway I will be subscribing to your feeds and even I fulfillment you get admission to consistently quickly. Hi there, just became alert to your weblog via Google, and located that it’s truly informative. I am going to watch out for brussels. I’ll be grateful if you continue this in future. A lot of folks will probably be benefited from your writing. Cheers! I’m gone to convey my little brother, that he should also pay a visit this website on regular basis to take updated from hottest reports. in this way are difficult to find these days.